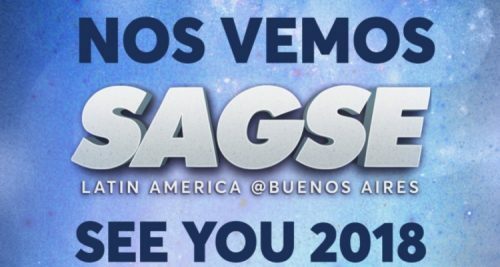 After a successful 25th edition of SAGSE Latin America @ Buenos Aires in early November, the company behind the legendary trade show, education series, and conferences have announced the date for their 2018 exhibition in the Argentina capital. While the location remains the same with Centro Costa Salguero hosting the 3-day event in the main pavilions, the dates have been changed in order to accommodate what is expected to be an influx of city visitors and burden on official resources during the normal SAGSE working dates. The event organizer, Monografie S.A., has announced that the dates have been changed to September 11-13 as a major international economic forum will be held in the City of Buenos Aires in November with regional government, business, and civic leaders. The date change is intended to make sure that show support infrastructure including freight forwarding as well as hotel and ticket reservations will proceed in the normal smooth fashion delegates have come to expect from all important Monografie events. The event's new floor plan for 2018 will appear soon as the organizers relaunch their website for the new year. The new floor plan will show confirmed reservations and open spaces. The 2017 SAGSE LATAM show saw the first ever appearance by the Malta Gaming Authority, represented by executive chairman, Joseph Cuschieri and Michele Magro, the MGA Senior Legal Advisor who shared their deep knowledge of gaming regulation with participants. Exhibitors included Ainsworth, Belatra, Codere, IGT, Konami, Merkur, Novomatic, Scientific Games and many others with the entire first stage of exhibition space occupied by more than 80 presenters. To learn more about this premier Latin American gaming event or to book a stand, please contact Jorge Gallinger (jlgallinger@monografie.com) or Ivana Goldaracena (ventas@monografie.com).